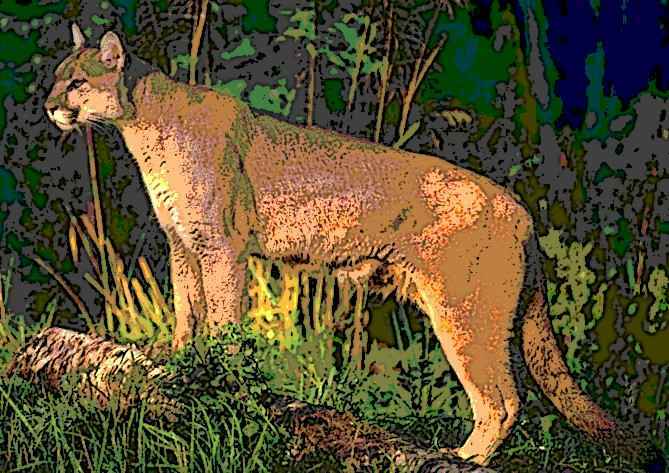 While certainly not unheard of in this part of town, last Friday afternoon it is reported a cougar was spotted in the area close to Rock City Elementary School. Parents of children at the school received a bulletin advising of the sighting and outlining some basic safety rules surrounding a cougar encounter. Those rules include giving the animal an escape route, pick children up from the ground as they frighten easily and their movements could provoke an attack and never approach a cougar. ...good reason to change weapons' laws in BC, especially on VI... how else can one protect themselves against potential attack from cougars and bears within Nanaimo city limits.